Turn your compatible Android smartphone into a speed camera detector with Cobra iRadar from Snooper. iRadar straight from the box and with the free App installed on your smartphone, turns your Android into a Radar and Laser detector. What's more subscribe to the optional Snooper AURA Live speed trap database and turn your compatible smartphone into a full GPS, Radar and Laser speed camera detector just like the best selling Snooper 4ZERO Elite BT. IMPORTANT: Cobra iRadar is NOT a standalone device. It works ONLY with a compatible Android smartphones. Cobra iRadar by Snooper for Android 2.2 and above Smartphones has been discontinued. 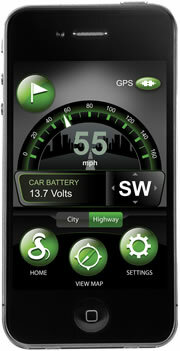 Cobra iRadar by Snooper for Apple iPod Touch, iPhone Smartphones has been discontinued. Want to add speed camera detection to your Android smartphone? Well now you can with Cobra iRadar by Snooper. 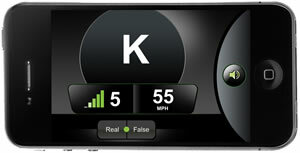 The iRadar works in conjuction with a radar and laser detector which is included in the box. In addition by subscribing to the Snooper AURA Live database you can get up-to-minute automatic* updates from Snooper and from their vast connected community using Snooper 'LIVE' products. The iRadar also gives you a 30-days free trail to the Snooper AURA Live database. *Automatic updates - requires smartphone with mobile network coverage. On approach to a detectable speed camera location iRadar provides both visual and audible alerts on the screen of your Android smartphone. IMPORTANT: COBRA IRADAR IS NOT A STANDALONE SPEED CAMERA DETECTOR. IT REQUIRES A BLUETOOTH ENABLED AND COMPATABLE SMARTPHONE I.E. ANDROID WITH ANDROID 2.2 OR ABOVE SOFTWARE TO OPERATE. Please see compatibility below. Simply download the Cobra iRadar app to your compatible Android device free of charge. Install the iRadar's radar and laser detector behind your vehicles front grille and pair via Bluetooth with your smartphone. You'll then be alerted via your smartphones screen to radar and laser sites including live Gatso cameras and mobile 'in-use' laser guns UK and Europe wide. Please note: Using a radar/laser detector is deemed illegal in some European countries e.g. France. We suggest you check the law before using outside of the UK (where usage is completely legal). 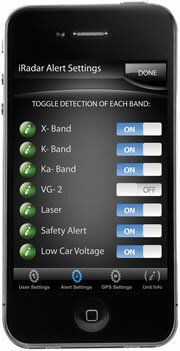 The Cobra iRadar radar/laser detector covers the following bands: X, K, Ka, and Laser frequencies. Radar and laser detection is great, but it's only half the cameras and half the capabilities of the Cobra iRadar App from Snooper. By subscribing with a compatible GPS enabled smartphone you'll be connected to the GPS based Snooper AURA Live speed camera database of fixed and mobile cameras. What's more not only will you receive up-to-minute live updates from Snooper, you'll also be able to share alerts and locations in real-time with other iRadar users! The first 30-days to the AURA Live is free, subsequent subscription is £1.99 a month, £5.49 a quarter or £20.99 for 12 months. HADECS 3 speed camera locations are now within the Snooper AURA speed camera database. These locations are identified as a 'Gatso' speed camera location. Compatible with Smart Phones with Android 2.2 and above including Froyo, Gingerbread, Honeycomb, Ice-cream sandwich and Jelly Bean Android OS. Download the app for FREE from Google play. Please note: You also need to have Bluetooth enabled smartphone to receive alerts via the radar and laser detector. If you'd like to receive GPS camera updates via the AURA database you'll also need to have a GPS receiver built-in and working within your smartphone. Finally to receive 'LIVE' GPS speed trap updates your smartphone will need to be connected to a mobile network. Do you have a question about the Cobra iRadar that's not been answered on this webpage? Please see our speed camera detector FAQs for questions from other customers and visitors. Plus if the answer to your question isn't featured, use the online form to ask us for the answer. Alternatively please telephone 01733 777623 Monday to Friday (9:30am-5:00pm) to speak to one of our sales team. 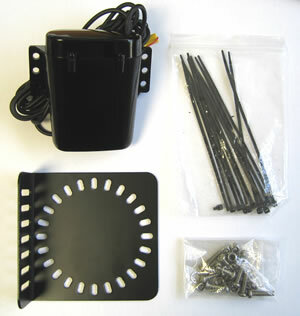 When you buy Cobra iRadar you receive an under the bonnet installation kit (see picture below). 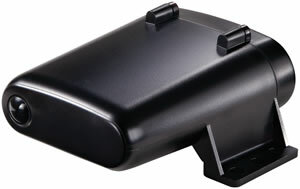 The iRadar laser/radar detector is designed to be mounted within your engine bay behind your vehicles front grille. 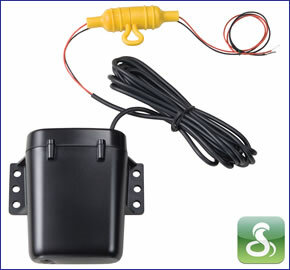 The iRadar radar/laser detector then needs to be hardwired into your vehicles electrical supply. We recommend a qualified auto electrician carry out this work. Finally once you've downloaded the FREE Cobra iRadar App to your compatible smartphone you're ready to pair iRadar and your Android phone and start detecting live radar and laser speed camera sites. Subscriptions can be purchased with the App. Cobra iRadar APP available from Android Market Place free of charge. France. iRadar APP alert patterns have been designed to conform with 2012 French legislation so are road legal. Please note: No subscription is required to use the iRadar radar/laser detector and iRadar app to receive mobile radar/laser alerts. IMPORTANT: It is fully legal to use a radar/laser based speed camera detector in the UK. However, before using the Cobra iRadar outside of the UK we STRONGLY RECOMMEND that you check to ensure that the use of a speed camera detector in other countries is also legal. The use of radar/laser detectors and GPS speed trap locators is illegal in some countries. Please check local law before use outside of the UK.